Occasionally, “06880” readers ask for crowd sourcing help. In the past, our online community has offered advice on the best plumbers, restaurants and tutors. My son-in-law wants a cheap (are we allowed to use that word in Westport? — er, well-priced) barber. He wants the same person every time — someone who knows how to do longer men’s cuts. Readers, let’s get on it! Click “Comments” with your recommendations — and reasons why. Of course, use your full, real name. Remember, the son-in-law does not want to pay a lot. Though probably a bit more than 2 bits. This entry was posted in Local business and tagged Barber. Bookmark the permalink. We LOVE Westport Cut and Shave at 235 Post Road West. Cathy is amazing with my son’s hair and it looks amazing every time. Plus, the cut lasts really well and grows in beautifully. Cannot recommend highly enough. Tommy at Compo Barber Shop is the go to guy. Before we left Westport in December I had been going to Ron’s, which is located where Sally’s Place used to be. The charge is a little over $20. I highly recommend Tammy Stefanidis at Riverside Barber, one of the oldest barber shops in Westport. On October 2, It is returning to Saugatuck at 1 Treadwell Ave. Last year, Riverside Barber celebrated the 90th anniversary.The current owner is Tammy Stefanidis. Felice at Compo Barber! Get u all cleaned up! …and be sure to get some great stories from Tommy while you are there. My vote for a prefect barber shop is Compo Barber Shop, whether you make an appointment with Tommy, Tony, Louie or Alex you will be happy. Through the thick lenses of experience the team of barbers are all old school barbers, they listen and always understand your concerns. No problem with walk-in customers. 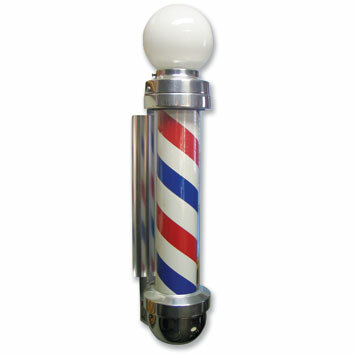 Many of the other Westport barber shops follows the 5 day rule…in 5 days your haircut will look better. We love Gio’s Barbershop & Salon at 208 Westport Ave. in Norwalk (corner of Westport Ave. & Walter Ave., a few blocks east of Stew Leonard’s). Phone: (203) 354-9632. $15 for haircut, for really good cuts (they do women & kids as well). Maria does a great job but Gerson is our favorite. I suggest he join the military or move to Moldavia…. Nothing “cheap” within several time zones of here! Norma’s Barbershop, on the corner of Myrtle and Post Road East. My hair is very short, slightly curly and fine – her cuts are consistently the best cuts I’ve ever had. I can comb it with my fingers and it looks great for 6 weeks. My adult son has very thick, straight hair that is difficult for many barbers to style. Norma does a great job on his hair as well. My son went to Compo Barbershop for years when he lived at home now he goes to a salon. My husband went to Compo Barbershop when we lived around the corner and now goes to Southport Barber (John) same same same but less $$. Right on the tiny Main Street just down from the P.O. Tommy at barber shop in Compo Shopping Center. Is he still there? Yes. And still going strong! Men’s haircuts $28 at Compo Barbershop. Not exactly budget. But great, friendly barbers and a Westport institution. Tommy Gianulli has been cutting my red/grey locks for more than 45 years. He is the best followed by Felice and Tony. Compo Barber Shop is a legend. My vote goes to Mario DiVincenzo at The Fairfield Barber Shop (adjacent to the defunct movie theater). He was formerly co-owner of Mario and Mike’s Unisex barbershop across from the Shell station on Maple(?). I second Mario. He’s been around a long time and is well known to Westporters since he started off here as Carl Volckmann explained. He’s got a great sense of what looks good on you and his son Marco does too. He’s reasonable and worth much more than he charges. a renewed appreciation for his native culture. I use my landlord with his Flowbee. He gives a great cut and it’s included in the rent. I, too, really like to get hair cut by Cathy at Westport Cut And Shave. She is super efficient (meaning she doesn’t take a ton of time.) I’m usually in a hurry to get in and out of a barber chair and I’ve found with Cathy that the end result has always been very good even if I’m short on time. Southport Barber Shop in Southport center, Marlou or John do men and women for $25. A pleasant old timey barbershop. Ronnie of Ron’s Barber Shop at 190 Main St. Great cut and colorful personality for $23!! This is why I take my 13-year-old to supercuts. I know it’s not local, but I can’t justify paying $25-$35 dollars on monthly haircuts. Try Sports Clips in Fairfield on Black Rock Tpke. Senior and kids, $17; adults, $20 plus free neck and ear trims between cuts.